Temperatures across the eastern plains of Colorado will approach records before a winter storm moves in to much of the state for the weekend. Highs across the plains will feel like spring Friday as the northern quarter of the state sees temperatures in the 60s, while southeast Colorado will be in the 70s. Saturday, highs will back off as much as 20 degrees for northern areas, with temperatures only reaching into the 40s ahead of expected snow. The southeast will continue to see 60s and a few low 70s before snow enters the area Sunday. 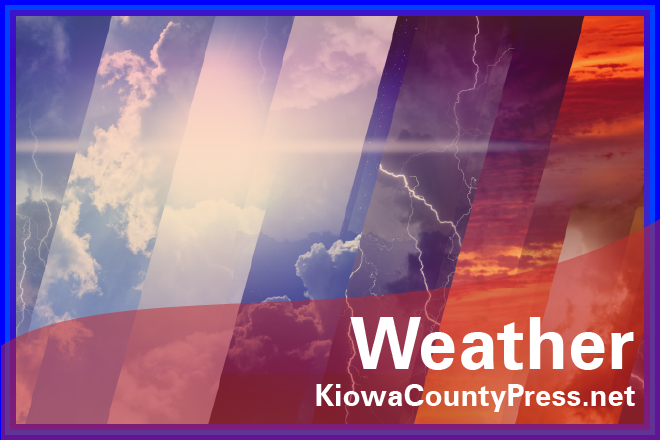 The northern corner of the state can watch for up to eight inches of snow through the weekend, while further south the snow amounts will be closer to two to three inches. Baca county, currently impacted by severe drought, will largely miss any significant snowfall. Sunday's highs will mainly be at or below freezing, with a return to the upper 30s to upper 40s expected Monday. A Pacific storm system will move into the area Friday night and continue to impact the region through early Sunday. The initial warm flow will bring rain to areas below 7,500 feet, however a cold front will also pass Saturday night, resulting in a change to snow for lower elevations and valleys. Mountain areas can expect snow to continue into Sunday morning. 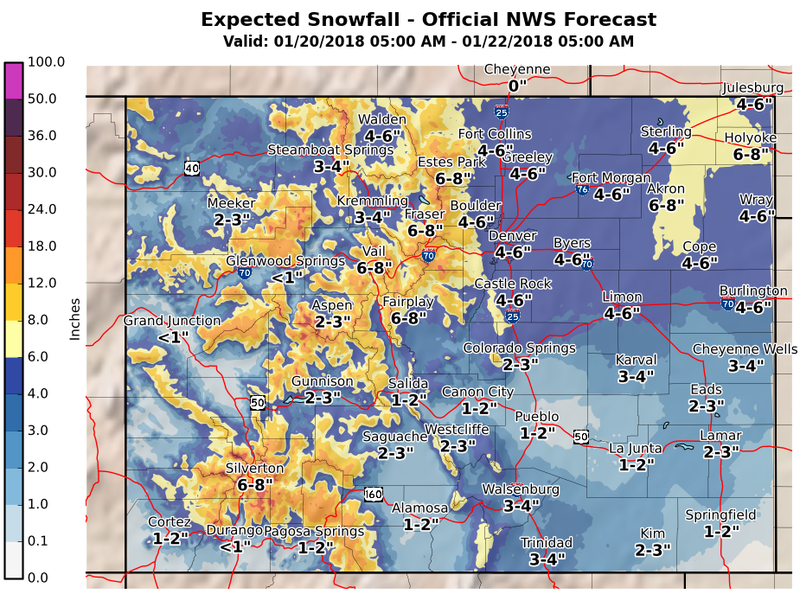 Valleys could see one to two inches of snow, while mountain areas can expect up to a foot of snow, particularly above 11,000 feet. A winter storm watch will be in effect for the San Juan mountains beginning late Saturday afternoon. The area is in desperate need of moisture as drought conditions continued to deteriorate over recent weeks. By Sunday evening, the storm system will lift out of the area, however another weaker system is expected later Monday, continuing into Tuesday, with an additional system potentially arriving later in the week. Overall, the coming week will be cooler than recent days, with temperatures closer to seasonal averages.